Ever stop and wonder why all the urgent talk about wearing a sunhat? We know that too much exposure to the sun can cause a sunburn. But not only is a sunburn extremely painful, the cells and blood vessels in our skin get damaged when exposed to too much sun. When exposed to more sun, the skin undergoes premature aging by looking dry, wrinkled and discolored and although the skin may appear to be thicker and leather like, in reality it is actually weaker and will bruise more easily. As you are well aware, the most serious threat of those sunny rays of sunshine is Skin Cancer which is one of the most common cancers today. Doctors believe that most skin cancers can be avoided by preventing sun damage. Putting on sun tan lotion is great, however, there are often parts of the body which are forgotten when applying sunscreen. Most people just smear it on their face, body, arms and legs forgetting behind their ears, their scalp (can’t get lotion in there if have hair) and the back of their neck. Wearing the proper sun hat ensures you that your skin is well protected at all times. But what about the positive sides of sunshine? Vitamin D is an important nutrient that your body obtains through the sun, as Vitamin D is not found naturally in most foods. Rest assured, because most foods today are fortified with Vitamin D so sunlight is not as important or necessary as it used to be. Of course, the sun makes us all in a cheery mood and lifts our spirits which is why it is definitely recommended to spend time in the sun – just remember to keep safe and protected with sun screen and a sun hat at all times. So now you know all about the importance of wearing a sun hat. Pull that wide brimmed straw hat around your head and smile at the sun! You’re protected! Cover Your Head with Comfort and Style! Always wished to wear a beautiful hat but not enough coverage for you? Try adding an Israeli tichel! 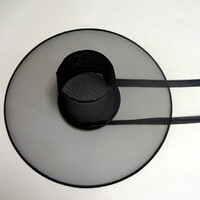 Here’s how, first you need to choose a tichel that you would like to wear. Best to use a soft cotton one for added comfort. Then, tie it how you’d wear it. 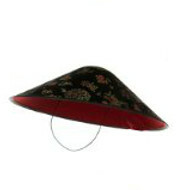 Next, put the hat you want to wear on top of the headscarf and you are simply transformed into a new look. You can use different tichels and different hats for all types of occasions and to match assorted outfits, the beach, party or every day! Look great. Feel great. You are great! The Cocktail Hat – What is it Exactly? For those of you who do not know what a cocktail hat is – it’s a small brimless dress hat that is worn simply for style since this hat does not provide Hair Coverage at all. The base of the hat can be found in a few variations such as a tear drop shape which allows it to sit comfortably on ones head or a flat base. 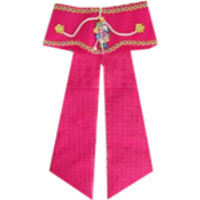 They usually have flowers, feathers and such other designs and embellishments which makes it dressy and fashionable. In addition, some come with a net hanging over which droops down over ones face to provide an extra special look. How did the Cocktail Hat come about? In the 1930’s women took great interest in wearing daytime hats. However, these weekday hats did not suit their needs when they were looking to go to fancy affairs such as cocktail parties, tea dances, etc. Therefore, the designers of the time came out with the cocktail hat which is more appropriate for dress of higher class. Today, Cocktail Hats are worn by women all over, especially by Royalty. It makes a great fascinator and hair accessory for a Wig and Hair on a special occasion. Cocktail hats can be found in white worn by a bride as well as in all different colors for any special occasion. Some have tall embellishments for those looking to provide height and some are small and flat. So if you’re looking for an extra little something to dress up your outfit you know exactly what you need! Just remember, if you are looking for a Dress Hat to provide head coverage you should try and stick to a cloche or other kind of Hat. Head Coverings and Hair Accessories – Keep COOL on a HOT Summer Outing! Make sure you and your kids are fully protected by the sun. Thinking of doing some awesome sports this summer such as hiking and biking? Plan ahead and make sure to take along head coverings and accessories to ensure you and your kids will be as comfortable as possible. Of course, when purchasing head covers and hair accessories for outdoor sports there are lots of things to look out for. Below is a guide and more information you’ll need to know before getting the perfect hair accessories for your trip. – When spending time in the sun it is very important to make sure that your face and your children’s faces are fully protected by the sun. Look for a lightweight head covering with a visor such as a Sun Cap, Pre-tied head scarf with a visor or simply a Sun Visor that has a Velcro in the back of your head and keep safe at all times. – Prefer wearing your hair down? Keep a Jaw clip in your back pocket for emergencies. A jaw clip will allow you to leave your hair down yet still have some hair up which will keep less hair off your neck and keep you cool. – We all know how knotty hair can get when doing summer sports. Don’t forget your pocket brush with a mirror so you can keep on making sure you look great anytime and anywhere! Once you have your hair accessories and head covers packed and ready for your trip you are good to go! So have fun, keep cool and look good this summer no matter where you are and what it is you are doing! Top 5 Hair Styles Topped with Stylish Hair Accessories for Hot Summer Days! 1. Looking for something different and original to do in your hair? Try making (what I like to call) a Topsy! First thing first. ALWAYS carry a ponytail holder with you in the summer. Whether you’re going to the park, the beach, on an outing or anywhere outdoors for that matter, the second you get too hot, sweaty or itchy all you gotta do is slip it out and tie your hair up and out of the way. Never underestimate the power of a Pony Holder, it may be small but it is definitely one of the most practical hair accessories I know of. 1. Looking for something different and original to do in your hair? Try making (what I like to call) a Topsy! Tie your hair into a pony tail with a pony holder. Then, right above the pony holder, make a little hole by dividing your hair down the middle and separating it. Now, take your pony tail and put it over and in the separation you just made. Tighten your pony holder for a secure fit. This pony with a twist is a great hair style to do on your little one, your big one or yourself! 2. For a Hawaiian, beach and summery look, put your hair in a low side bun. If you’d like to have some hair in your face, take out a few strands of hair from here and there for a chilled, natural look. Then, take a big colorful and summery flower hair clip and put it right above your bun. Wow! So fresh and easy! 3. Rolled out of bed with a bad hair day? Can’t seem to tame your frizzy hair in the humidity? Consider wearing a hot and stylish summer cap! By wearing a cap in the summer, not only do you look fashionable but you are actually protecting your face form getting sunburned at the same time! 4. If you haven’t got yourself a soft wide head wrap yet –NOW’S THE TIME!! Headwrap headbands are the hottest hair accessory this summer! Wear it as a partial head cover, a thin head band, over a fall wig and much more! Buy one simple hair accessory and keep on wearing it in different ways. What’s nice about a soft wide head wrap hair band is that it allows you to leave your hair down in the summer and still keep cool- definitely the best of both worlds! 5. Looking for a hairstyle that you won’t have to be busy with all day? Tie your hair into a neat French braid and put a bow at the end! Make sure to tie it secure so that it’ll last you all day long. This is a great hair style especially for little kids who run around all day and can’t stand to have hair on their face or neck. Hope these tips were helpful! Any more suggestions? We’d love to hear!